A mother protecting her child isn’t anything unique. But in Iran, humanitarian activist mothers are now becoming global icons for human rights causes worldwide. In silent public protest, the ‘Mourning Mothers of Iran,’ known locally in Tehran as the ‘Mothers of Laleh,’ stand together each week, on Saturday evening vigils in Tehran’s Laleh Park. “I urge all women around the world to show their solidarity with the Committee of Iranian Mothers in Mourning by assembling in parks, in their respective countries, every Saturday between the hours of 7 to 8 p.m., wearing black,” said Nobel Peace Prize Laureate, Shirin Ebadi, in a plea made to women and activists worldwide at a July 25 Iran pro-democracy rally in Amsterdam. Like the infamous “Women in Black,” and the ‘Madres de Plaza de Mayo,’ the Committee of Iranian Mothers use methods of ethics in non-violence to bring attention to the atrocity of their dead children. Beginning in Jerusalem, in 1988, a group of almost 40 Israeli-Jewish women of conscience formed ‘The Women in Black.’ To make their point, they wore black clothing and stood silent in public protests. They protested against Israeli expansion into the West Bank and Gaza on the heels of the beginning of the 1987 Palestinian intifada. Soon Arab women from the northern region of Israel also joined the Women in Black. The message was a clear call for “Peace!” Opposing war, injustice, and militarism, Women in Black groups and their affiliates can be found in Iran, Australia, the UK, Serbia, Japan, South Africa, Italy, Spain, the Netherlands, Belgium, Canada, US, India, Nepal, Uruguay, Argentina and the Philippines, to name a few. Outside of Jerusalem, 1988 was also a very dark period for Iranian history. In a few summer months, an enormity of crimes against humanity occurred as an overwhelming number of Iranian political prisoners were massacred. This left thousands of Iranian mothers devastated. According to reports from Amnesty International, 4,500-10,000 Iranian political prisoners were declared killed or missing inside the country that year, over a period that lasted barely two months. After finding out about the death of their loved ones, the families of the victims were not allowed to receive the bodies of their dead. They were also not allowed to hold any funerals. Instead, the held bodies were dumped together in places like Khavaran or what the regime referred to as La’nat-Abad, ‘The Damned Place,’ a cemetery used for burying non-Muslims. Mass burials at Khavaran were later accidentally discovered by an Armenian priest who had become curious as to why stray dogs kept digging for bones at, what was later determined the location of the mass graves. French-Iranian woman filmmaker, Mehrnoushe Solouki, was held in Evin Prison for nine months as she, too, stumbled on the discovery in 2007. “The deliberate and systematic manner in which these extrajudicial executions took place may constitute a crime against humanity under international law,” said Human Rights Watch, in 2005. Perhaps of all the crimes against humanity in the last 30 years, the 1988 Iranian mass executions continue to be the most revealing indication of the regime’s contempt and fear of political dissidents. We may think this kind of protest is new in Iran, but Iranian mothers have always spoken out against violence, disappearance and the torture of their sons and daughters. Prior to the 1979 revolution, only two mothers’ organizations existed in the country. Both were affiliated with underground groups involved in struggles for democracy. They worked in opposition to the monarchy of the Shah’s regime, who’s policies had turned, at the end, to the jailing and torture of intellectuals, feminists, students, and labour union advocates. “I need to tell my story. No one can stop me. No one!” said Parvin Fahimi, an active member of Mothers for Peace and the mother of slain 19 year old Iranian protester, Sohrab Arabi, said recently in July. “My son had been killed, but they refused to tell me,” she continued. 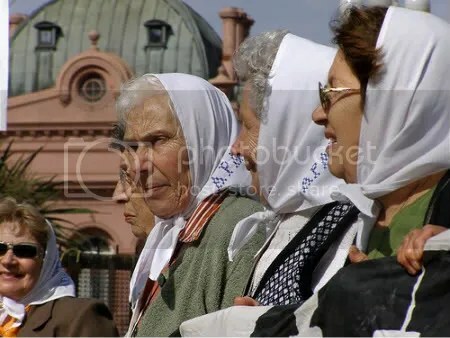 Madres de Plaza de Mayo - Buenos Aires, Argentina, 2008. On July 11, 2009, young Sohrab Arabi was identified as ‘Picture Number 12’ by his older brother at the Shapour Street Police Station in Tehran. He was dead and his family finally knew the truth. He had been missing for 26 days. 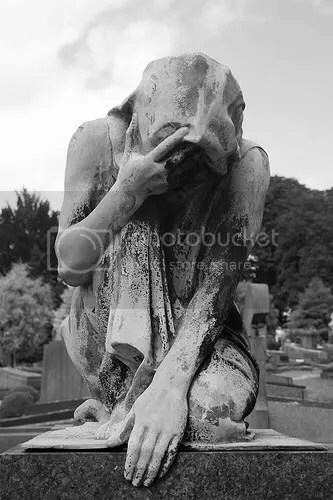 On the realization, his mother was beside herself with grief. That night I still did not hear of my son. The next morning when I called 110 (the emergency police call number) they told me to refer to my local police station. I went to the local police station and filed a missing persons report and they started the search process. No one had the guts to tell me than that maybe my son was killed; some people said he was probably arrested and some said he may be injured. I found out that 7 people were killed that day (at the protests) of those, 5 had been identified and 2 had not. The 2 that had not been identified were apparently older. The sons of my family members went to see the 5 that were identified and they confirmed that none of them was Sohrab. I was relieved to hear that and thought that my son was therefore arrested. I knew that he wasn’t injured because I searched every single hospital. I am aware that some hospitals would not give me a clear answer, but others did. So I headed out for the Revolutionary Court (Evin Prison) to follow up on his arrest. They told me to return home and I told them I couldn’t – I am a Mother – I couldn’t even eat. To this date I have a hard time eating. My throat just closes up. I have kept myself going through liquids only in the past few weeks. I can’t tell you how much time I spent at the Revolutionary Court… if I were to write the story it’d make a very thick book. . . The exact circumstance surrounding the death of Sohrab Arabi continues to be unexplained. According to the International Campaign for Human Rights Iran, when the family received Arabi’s body, his death appeared to be from the result of a gunshot wound to the chest, but no one knows when or where this injury occurred. An official, but inconclusive, report was made by the Coroner on June 19. The lives of the mothers of missing global activists, who are often called, ‘mothers of the disappeared,’ are often filled with moments of endurance and courage, in spite of the grief they carry. From the mothers of slain reporters working in Iraqi Kurdistan or the Ukraine; to the mothers of missing activist children in Iran or Argentina; the mothers of those who have who have ‘gone missing’ have the same experience over and over again. Mothers worldwide have the same fear, grief, anger and frustration about their dead and missing children. “I begged the gunmen to kill me instead, and they pushed me away and told me that they wanted her not me,” said Kurdish mother of slain Iraqi journalist, Sara Abdul-Wahab, during a May 2008 Associated Press interview. In spite of her mother’s attempt to save her life, Sarwa was fatally shot twice in the head by kidnappers. Tragically, her mother felt she could do nothing to save her daughter. Sarwa was the only breadwinner for a widowed mother, a sister and brother. She was a strong defender of human rights, a Kurdish lawyer and activist in Iraq, who continued to work in spite of numerous threats against her life. When Ukrainian Prosecutor, General Mykhaylo Potebenko, issued a statement saying that DNA tests were delayed due to the illness of Lesya Gongadze, the mother of the missing and presumed dead human rights reporter Georgy Gongadze, Leyla grew suspicious. “This is a complete lie and deception,” she told Ukrainska Pravda, the Web newspaper that her son founded. “I wasn’t that sick, not so much as to be unable to give my blood for analysis. I was even insisting on it because I wanted to know the truth,” she added. For nine year Gongadze case has been rife with confusing facts and government shuffle. Georgy Gogandze’s mother, Lesya Gongadze has been struggling to expose the facts from the moment her son went missing. Faced with the dilemma of not trusting the validity of DNA tests made by the Ukrainian authorities for an unidentifiable body that was found in 2000, Lesya continues to ask questions and demand clarity on the true circumstances surrounding the murder of her son. To date, she has not been satisfied with the answers given her.